2 YEAR WARRANTY, HPI CLEAR. FULL SERVICE HISTORY. 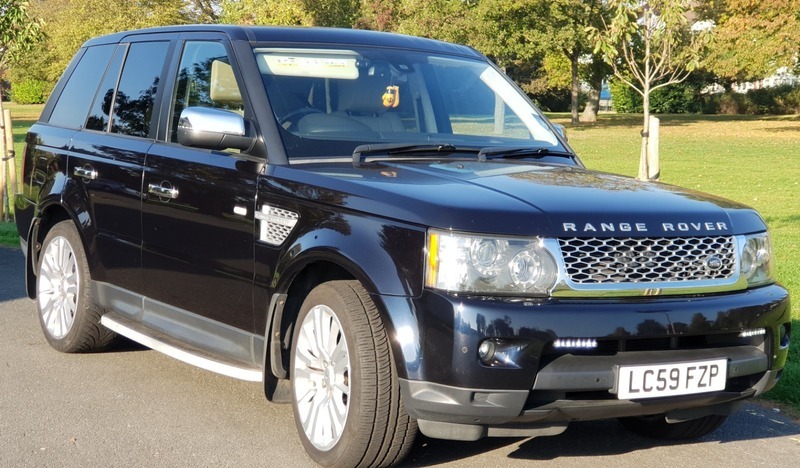 SSS Motors are pleased to bring you this Range Rover Sport by Land Rover HSE LUX TDV6 3.0L 2010 (59)(Facelift Model), 87,500 miles, Diesel, Automatic, SUV, Metallic Buckingham Blue, 3 previous keepers. Full Service History. Tracker Fitted (Subscription Payable), Cream Perforated Leather Seats, Heated Front & Rear Seats, Electric Seats, Heated Steering Wheel, 20' upgraded Alloy Wheels, Rear View Parking Camera, Parking Sensors, Side Steps, Folding Mirrors, HD Dash Cam, Sat Nav, Harmon Kardon Surround stereo system, Touchscreen Car Entertainment CD MP3, Bluetooth Music Streaming, Air Conditioning, Cruise Control, Center Console Fridge, 2 Keyless Entry Key Fobs, Daytime Running Lights, Upgraded Led interior lighting, 2 New Front Tyres, Rubber Mats, Original Front Grill,Side Vents,Wing Mirror Covers included, Recently changed All Brake Disc's and Brake Pad's. (Original Land Rover Parts), Recently Changed All Wishbones and Bushes (Original Land Rover Parts).